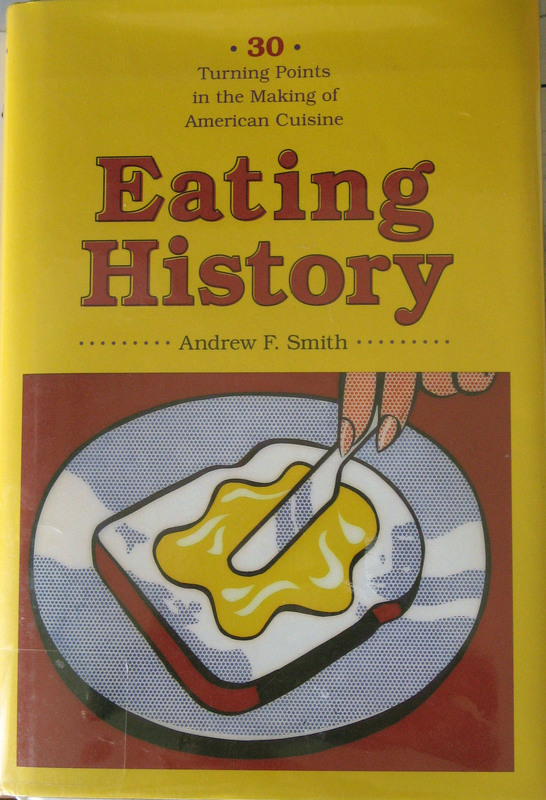 Eating History: 30 Turning points in the Making of American Cuisine, by Andrew F. Smith, is not a cookbook, but rather a book of essays showing how Americans' diets have evolved throughout the history of our country to get to the point we are at now. Some may find this book a bit dry. Others, who love both history and food, will find it fascinating as they discover things like the effect of the Erie Canal on the average diet, the role of religion in the development of modern cold cereal, how war opened the way for our present-day reliance on canned goods, and how the development of various diets has affected the food available in our grocery stores. Other fascinating chapters include: Cyrus McCormick's Reaper, Gail Borden's Canned Milk, Fair Food, Wilbur O. Atwater's Calorimeter, Fannie Farmer's Cookbook, Jerome I. Rodale's Organic Gardening, and Julia Child the French Chef. One of the chapters is devoted to the start of Gourmet magazine in 1941. Started during World War II, the magazine surprisingly survived a difficult time in our American history and continued being published right up until last year. Since there are no recipes in Eating History, I decided to use one from Gourmet. 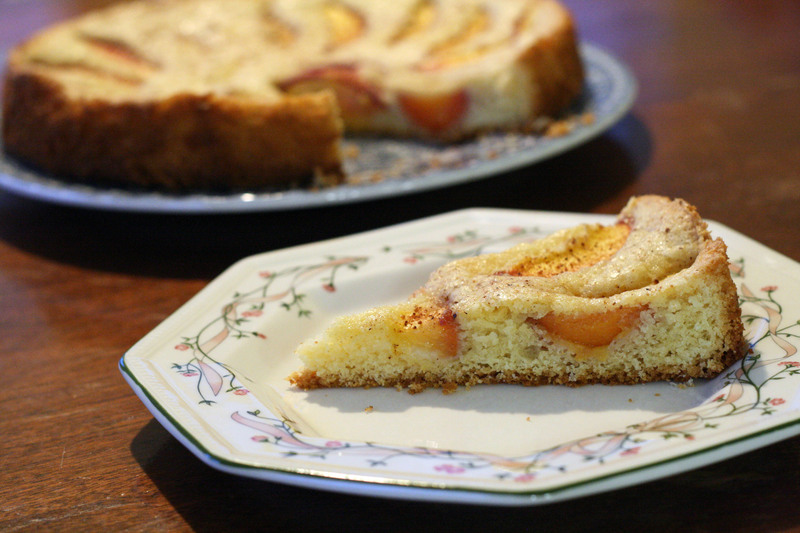 This cake is simple to make and perfect for a summer afternoon (combined with a cup of tea, of course). Preheat oven to 350F with rack in middle. Lightly butter a 9-inch springform pan. Beat butter and 3/4 cup sugar with an electric mixer until pale and fluffy. Add eggs one at a time, beating well after each addition, then beat in extracts. At low speed, mix in flour mixture until just combined. Spread batter evenly in pan, then scatter nectarines over top. Stir together nutmeg and remaining 1/2 Tbsp. sugar and sprinkle over top. Bake until cake is golden-brown and top is firm but tender when lightly touched (cake will rise over fruit), 45 to 50 minutes. Cool in pan 10 minutes. Remove side of pan and cool to warm. Serve plain, or with whipped cream or vanilla ice-cream.